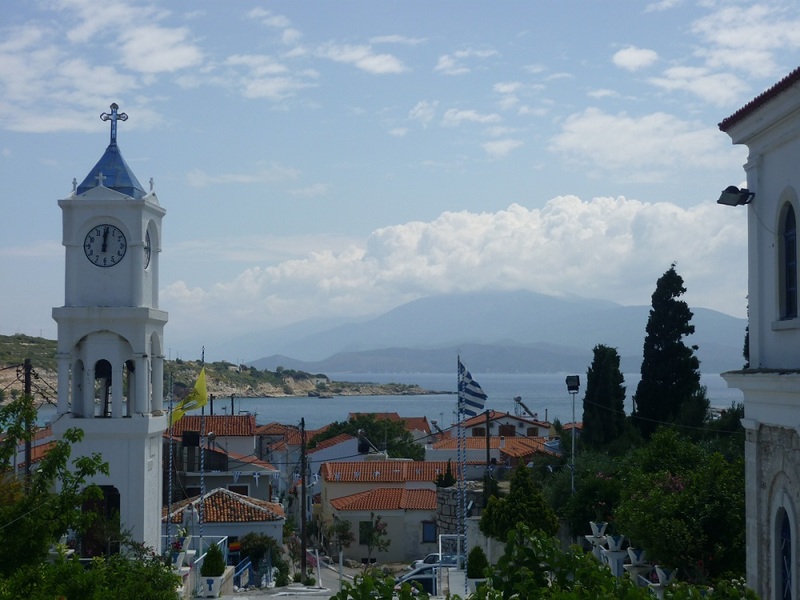 Lying in the eastern Aegean Sea and off the coast of Turkey is an unassuming Greek island called Samos. 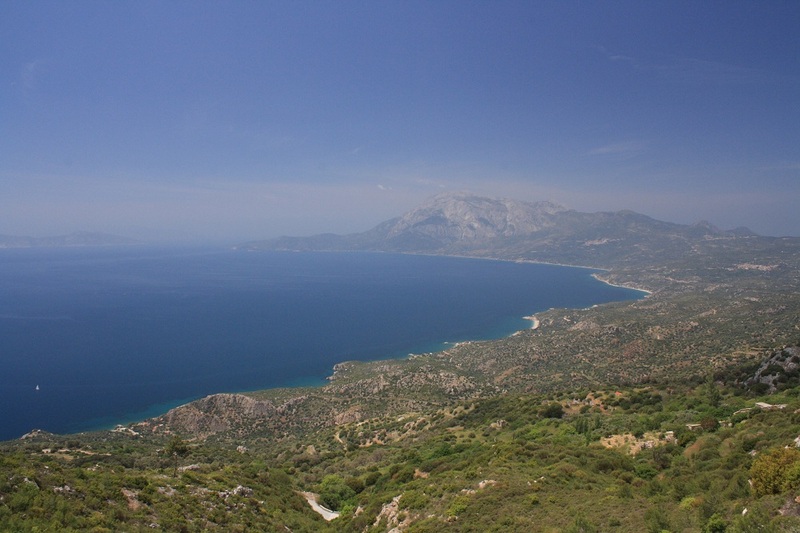 It could be easily dismissed as just another beautiful Greek island, abundant with lush olive groves and secluded bays, but Samos has a surprising history and a legacy that every British GCSE student can appreciate. With such a strategically important position Samos’ history has been somewhat turbulent, but loyally Greek. The island has been ruled by a number of different empires, and after the fall of the Byzantine Empire and a number of earthquakes the island was left virtually empty by the start of the sixteenth century. Samos was slowly re-inhabited which resulted in many towns adopting names related to its populations’ place of origin. However the island’s national identity developed into aligning itself with Greece. This meant that the condition of the London Treaty of 1830, that brought an end to the Greek War of Independence but gave Samos over to the Ottoman Empire, was strongly opposed in Samos. A revolutionary movement reached its peak in 1912 and Samos was officially united with Greece in 1913. With such an unsettled history it’s surprising that so many features from Samos’ ancient past still survive. These include the ruins of the temple of Hera at Ireon and the tunnel of Eupalinos near the town of Pythagoreion, both declared UNESCO world heritage sites in 1992. 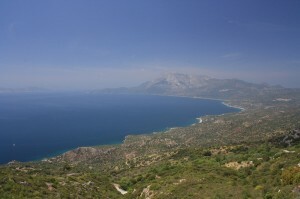 Samos is said to be the birthplace of the Greek goddess Hera, and the site of her ancient temple dates back to the eighth century BC and was later also the site of a Christian basilica. Most of the sites artefacts are in the Archaeological Museum in Samos’ modern capital, Vathy, though other artefacts are also housed in Pythagorio’s Archaeological Museum. The Eupalinos tunnel was rediscovered in the nineteenth century and is a popular tourist attraction today. It dates back to the sixth century BC and is an astounding piece of Ancient engineering. Acting as an underground aqueduct, it was designed to transport fresh water from an inland spring to the ancient coastal capital, today called Pythagorio. What is notable about this tunnel, apart from its ancient origins, is that is one of only two that are known to have been dug out from both ends to meet in the middle, and was the first to do so with a geometric approach. Commissioned by Samos’ tyrant leader, Polycrates, the tunnel was designed by Eupalino from Megara, and took ten years to build. Its achievement was even acknowledged by the ancient historian Herotodus. Though these ancient echoes invite interested modern visitors, Samos is most famous for one of its Ancient Greek sons, Pythagoras. Pythagoras was born in Samos in 580 BC and was a philosopher and Mathematician. His triangle theorem, regarding right-angled triangles, is still an important part of GCSE maths courses in Britain. 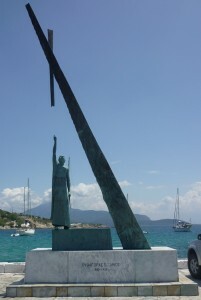 Pythagoras didn’t stay in Samos but his link is greatly celebrated, the town of Pythagorio is named after him and has a commemorative monument. Furthermore the ‘Just Cup’, reported to be a design by Pythagoras as he got fed up with the inaccuracy of measurements, are on sale throughout the island. Like most of the Greek islands, tourism is important to their economy, and Samos’ legacy to the history of science is at the heart of its offer to tourists today. 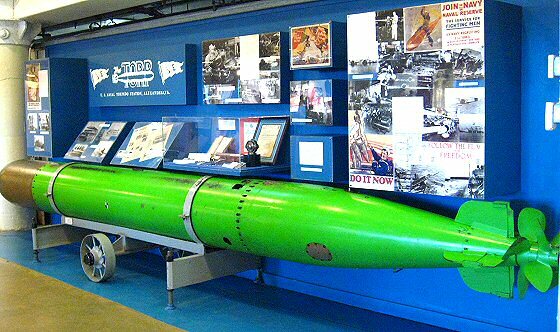 I’ve only covered a small part, and among the numerous small towns there are a number of museums dedicated to all sorts of topics. These include the Natural History Museum, the Folklore Museum and the Museum of Wine. With such a glorious climate and such friendly and generous inhabitants I would heartily recommend a visit. Swansea Museum is located in the maritime area near the centre of Swansea and adjacent to the docklands that for so long provided the lifeblood of the city. A couple of minutes walk away is the National Waterfront Museum, re-housed and re-opened in 2005, which tells the story of industry and innovation in Wales over the last 300 years. 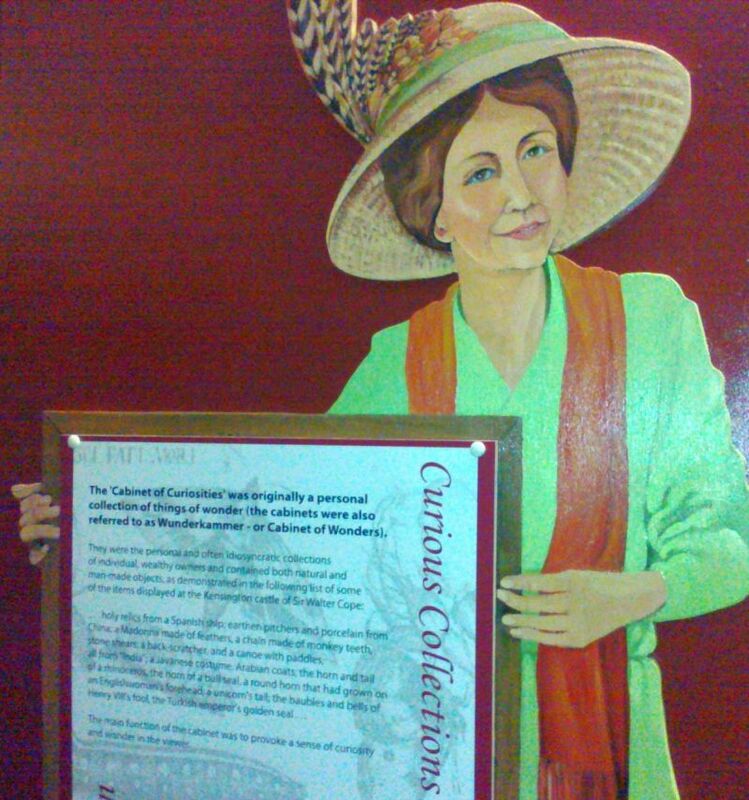 This leaves Swansea Museum with the challenging task of telling the history of the city itself and of its inhabitants. In addition to the building itself, the museum also includes three other locations. Two of these, a ‘floating display’ of boats and a tramshed on Dylan Thomas Square, are both located in nearby Swansea Marina. The three boats which form the ‘floating display’ – the lightship ‘Helwick’, a tug boat called ‘Canning’ and ‘Olga’, and a Bristol Channel Pilot Cutter built in 1909 – are open to the public during the summer months. The Tramshed displays memorabilia from the former street trams of Swansea and the Mumbles tram. The route of the Mumbles tram now forms a shared-use walkway and cycle route that follows the curve of bay from Swansea city centre to the old Victorian pier at the nearby seaside town of Mumbles. The fourth museum location, the Collections Centre, is located a few miles outside of the city centre and next to Liberty Stadium, home to Swansea City Football Club. The centre is open to visitors every Wednesday, 10am to 4pm, and provides opportunities to see the reserve and maritime & industrial collections. 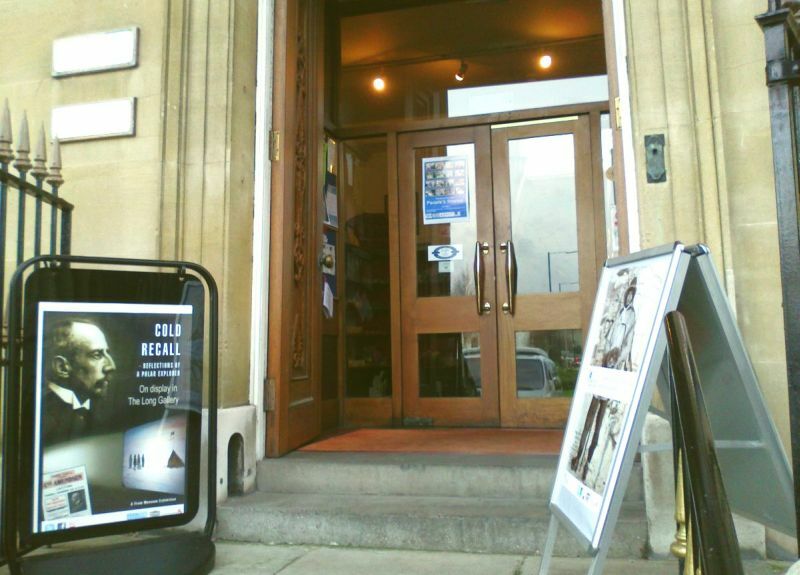 The museum and its main collection are housed in a wonderful neo-classical Victorian building. 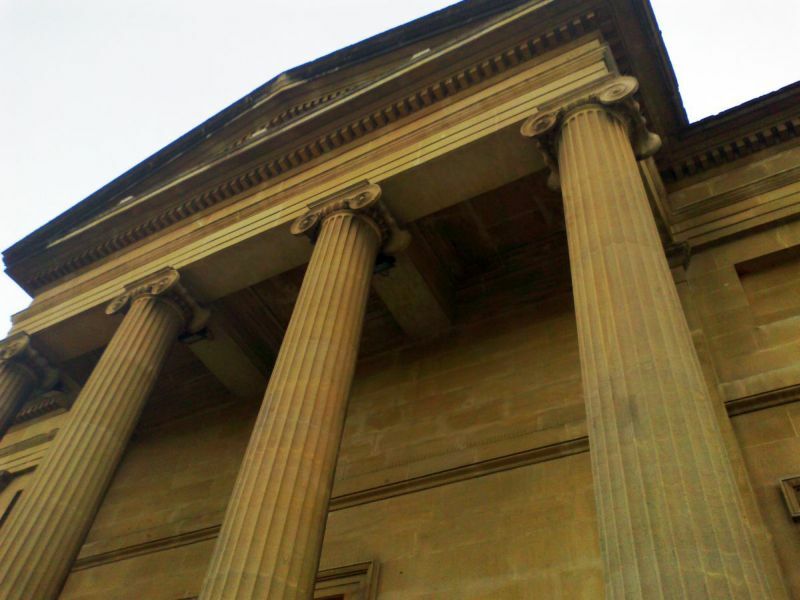 In 1835 a philosophical and literary society was established in Swansea and in 1841 the Royal Institution South Wales (as it was now known) built the first purpose-built museum building in Wales, built in the neo-classical style. This impressive building is now home to the Swansea Museum, making it Wales’s oldest museum. The building and the city hosted the British Association for the Advancement of Science annual meetings in 1848 and 1880. Well-known ‘men of science’ of the day such as Michael Faraday (1791-1867), Swansea-born William Robert Grove (1811-1896), and Charles Wheatstone (1802-1875) were all strong supporters of the Royal Institution South Wales and all three men lectured here on several occasions. The lecture chamber now forms part of the museum with much of the original features still intact. Within the walls of this magnificent building is the main museum collection, a treasure trove of objects telling the fascinating history of the city. The downstairs section of the museum has the China Gallery, the original debating chamber, temporary exhibitions, and the museum shop. 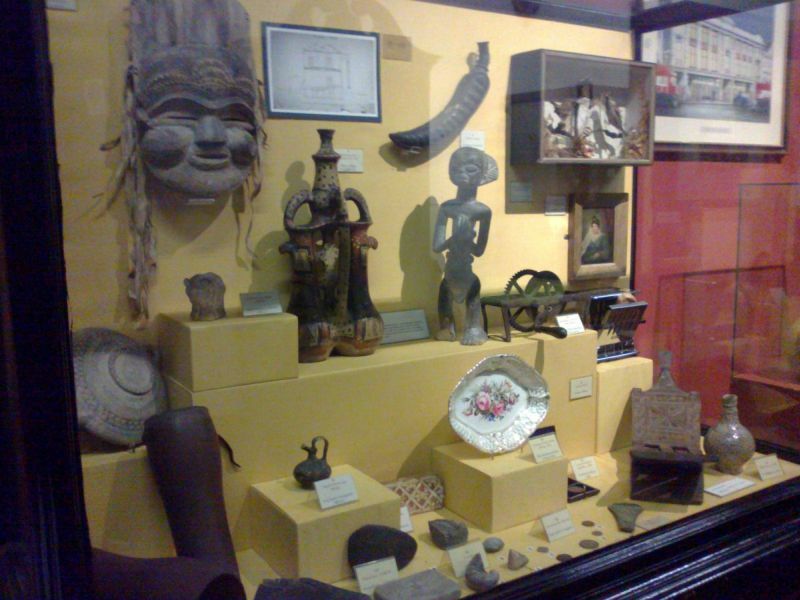 The upper floor of the museum houses displays on archaeology, Egyptology, and a cabinet of curiosities. The fruits of the commercial and industrial activities of the city are on display in the China gallery, which includes pottery as far back as early Cambrian wares (1768-90). The focus of this gallery is pottery made in Swansea, including some beautiful porcelain pottery. 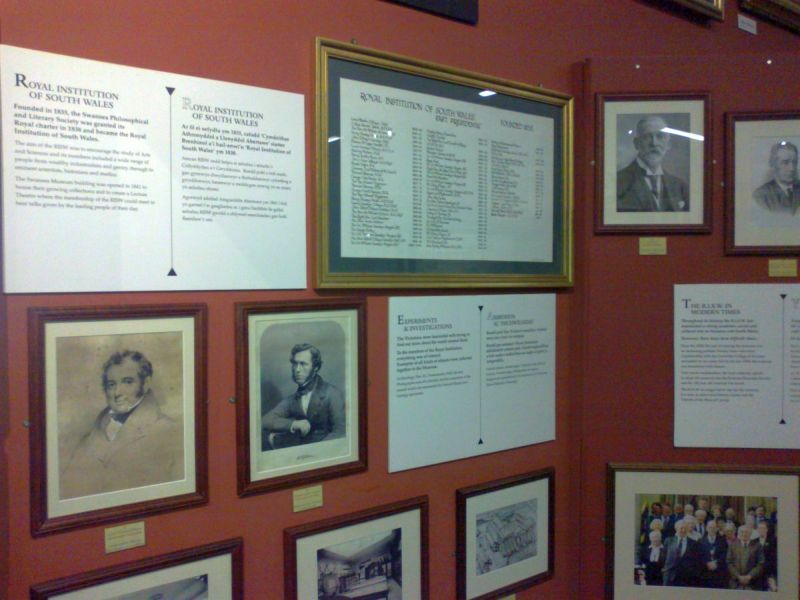 During my visit in January 2012 there were two temporary exhibitions, a small travelling exhibition on Amundsen and a local one on Copperopolis telling the story of Swansea, Copper and the world – both definitely of interest to historians of science and industry. The latter exhibition was housed in the former debating chamber and library. Up the winding stairs – another original feature of the building – are displays on archaeology, Egyptology, and a cabinet of curiosities. The archaeology room covers the history of Swansea from the Pleistocene (Ice Age) to medieval period, and is modest in scope. 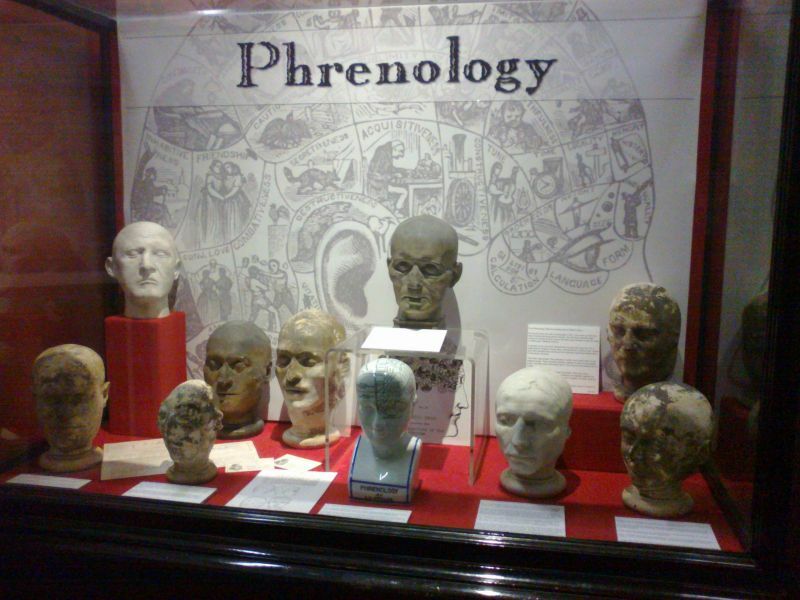 The Egyptology display is a small room with the Mummy of Hor which has been on display almost continuously since 1888. The display is very much focussed on Egyptian history and folklore and the details of how and why this object came to Swansea are only be revealed in a small photograph in the Cabinet of Curiosities room. Further information on the object can be found on the BBC History of World objects website. The Cabinet of Curiosities room is where, at least for this visitor, the museum comes to life. While lacking the content and interpretation of most modern museum displays, this room uses the breadth of the collection to explore the modern history of the city in its wider context. The room spans a wealth of displays and objects including (but not limited to): the model of a traditional Welsh kitchen; a brief history of the city including the World War Two bombing; a natural history of the Swansea area including the surrounding Gower peninsula (well worth a visit, particularly by bicycle); a history of the Royal Institution of South Wales; a Victorian lady’s room; a display on phrenology (sure to be of interest to historians of medicine); the chronology, historic urban and architectural photographs and drawings of the town; and other miscellanea. Towards the end of the Cabinet of Curiosity room is a small photograph of Field Marshal Lord Francis Wallace Grenfell (1841-1925) revealing how this Swansea-born gentleman choose a career in the Army over the family copper business and was posted to Egypt in the 1880s. Along with many educated Victorians of this age, Grenfell was greatly interested in archaeology and Egyptian history. He obtained the Mummy of Hor with the help of British Museum archaeologist Wallis Budge before gifting it to the Royal Institution of South Wales in 1888 along with the mummy’s coffin and other small funeral items. This visitor was left to wonder why this is not more prominently displayed alongside the Mummy itself? This museum, its collection, and the wonderful historic building within which they are housed are well worth a visit and a day trip to Swansea could be easily filled with a trip to the Swansea Museum, the nearby Waterfront Museum, and a wander around the nearby dockland area. The museum is free to enter and has plenty to amuse, entertain, and educate those of all ages and interests, and with much to impart to interested historians of science. 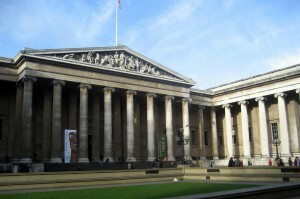 British Museum, Bloomsbury by wallyg. Image licensed under Creative Commons Attribution-NoDerivs 2.0 Generic license. This is one of greatest museums of the world, but mainly dedicated to the arts and civilizations of past ages. 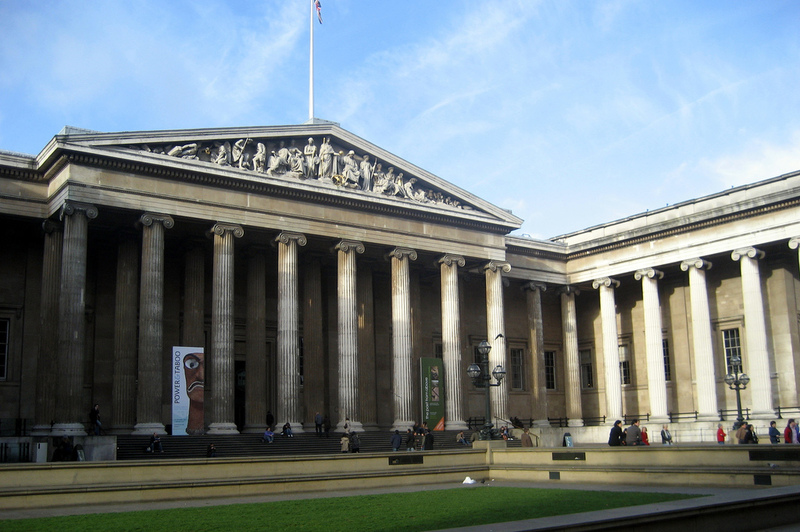 The British Museum is open seven days a week. The Castle of Kos (Neratzia) by bazylek100. Image licensed under Creative Commons Attribution-NoDerivs 2.0 Generic license. 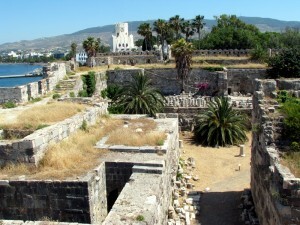 The island of Kos was the home of the famous physician, Hippocrates. It is a popular area because of its mild climate and sandy beaches, but has been badly scarred by intemperate eagerness to cater to mass tourism. Roads, hotels, and discos spring up without much regard for how they affect their environment. After the death of Hippocrates (around 360 B.C. ), a temple/sanitarium was built on Kos, dedicated to the god of healing, Asklepios. People came from all over the Mediterranean to seek help by prayer or to be treated by Hippocratic doctors. They continued to come for nearly a thousand years, until a terrible earthquake and subsequent ravages by the Saracens all but destroyed the place. The remains have been excavated and some columns have been re-erected, to create an impressive memorial from which we can get a good picture of what it must have been like in its heyday. The Asklepieion, as the temple is called, lies in open country on a limestone fold of a hill and is remarkable for its spacious design-three terraces, one above the other, joined by broad stone staircases. Patients were presumably treated by physicians on the lowest level, in “shops” lining a large, open rectangular space. They then went on to pray to their gods on the middle and topmost levels. The remains there reflect the continuity of use. The most prominent group of columns, for example, seven in number on the middle level dates from Roman times, outlining a temple dedicated to Apollo; two thicker Ionic columns on the same level are much earlier. We know from the writer Strabo (who lived in the age of Augustus) that all the temples were filled With artistic treasures, many brought as offerings by the patients themselves. And it is interesting that tributes to Hippocrates continue to this day. The ceremony of the Hippocratic oath is sometimes held here. An International Hippocratic Foundation is housed in modern buildings adjacent to the archaeological area. It serves as a center for professional congresses. Royal Albert Memorial Museum, by Jon Cordery. Image licensed under Creative Commons Attribution-NonCommercial-NoDerivs 2.0 license. The Royal Albert Memorial Museum (RAMM) is situated in a magnificent Victorian building on Queen Street in the very heart of Exeter. It holds a collection of approximately 1.5 million objects of local, national and international significance and has a lot to offer to any visitor with an interest in natural history, archaeology, art and world cultures. Exeter’s owes the existence of RAMM to the initiative of Sir Stafford Henry Northcote (1818-1887), a Devon MP and one of the Secretaries for the Great Exhibition of 1851. 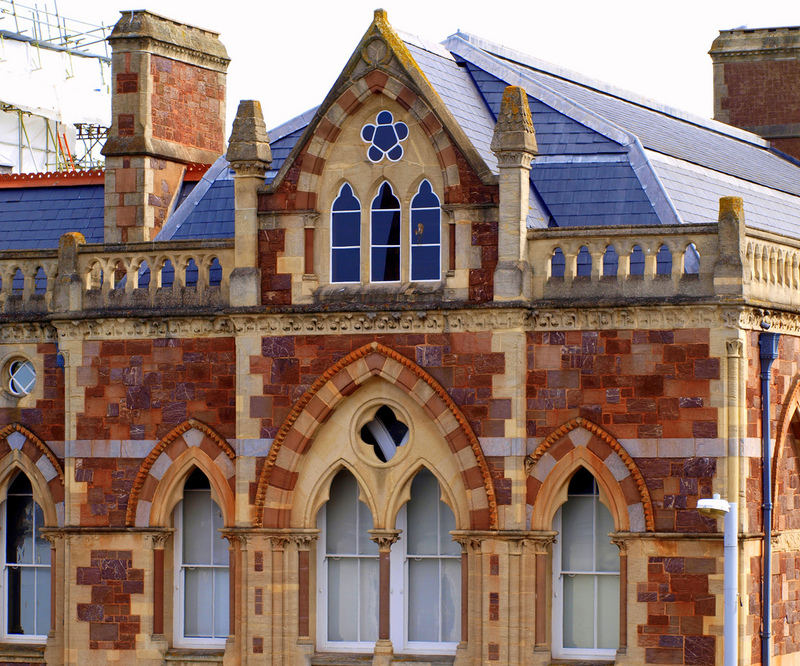 Shortly after Prince Albert’s death in 1861, Northcote started to appeal for funds to finance a memorial museum in Exeter. 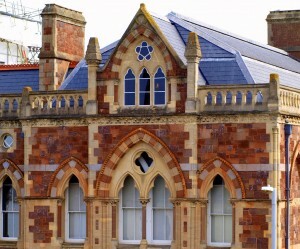 The new building was designed by architect John Hayward (1807-1891) and constructed over a thirty-year period. 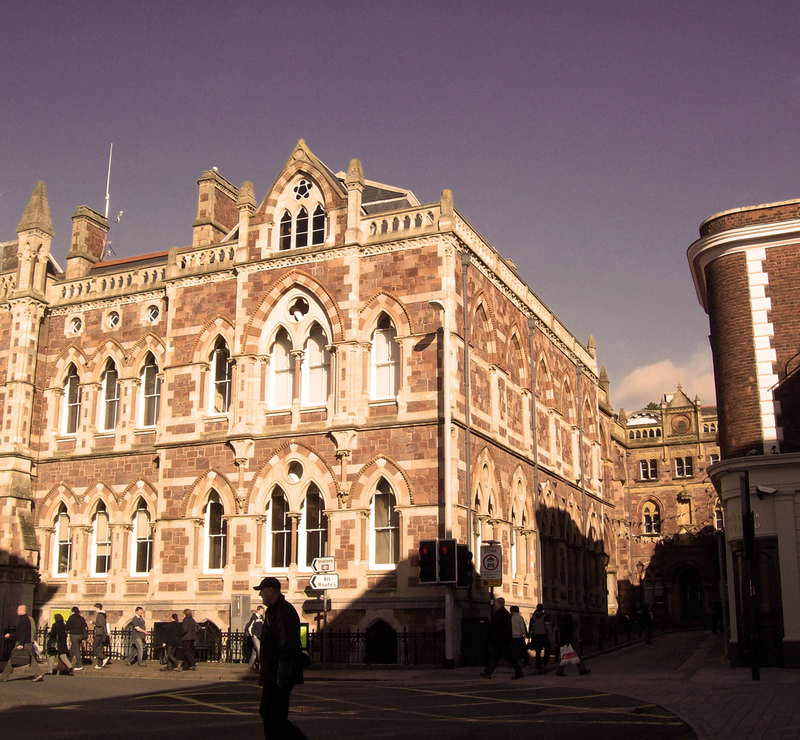 When it first opened, RAMM comprised a museum and art gallery, a school of science and art as well as a free public library. Since then, the library has moved into its own building, the school of art is now Plymouth University’s Faculty of Art & Education and the school of science is part of the University of Exeter. Royal Albert Memorial Museum, by Tinplaterodent. Image licensed under Creative Commons Attribution-NonCommercial-ShareAlike 2.0 license. Today, RAMM offers a lively programme of permanent and temporary exhibitions. Many of these feature displays from the natural history collection – one of the largest in the country, covering much of the animal kingdom. Among the most cherished objects is Gerald, the famous bull Maasai giraffe. Before coming to Exeter in 1919, Gerald belonged to the Peel Collection, which was displayed in the private Museum of Natural History and Anthropology in Oxford. It was founded by Charles Victor Alexander Peel (1869-1931), an enthusiastic big game hunter with a passion for natural history. When Peel moved to Devon later in his life, he brought with him his vast collection of taxidermic specimens – including Gerald. The botany collection comprises thousands of plant specimens. Many of these came to Exeter thanks to horticultural firm Veitch & Sons. Sir Harry James Veitch (1840-1924), who founded the company, grew up in Exeter and is now most famous for promoting the Royal International Horticultural Exhibition of 1912, the first Chelsea Flower Show. In addition to his significant art collection, which was donated to RAMM in 1924, RAMM’s plant collection owes much to Veitch. In the nineteenth century, employees of his company would travel the world in search for new plant specimens, which then found their way into the RAMM herbarium. The latter is organised using the Linnaeus’ binomial system, named after Swedish botanist Carl von Linné (1707-1778). Specimens from the herbarium are not generally incorporated in public displays, but special viewings can be arranged with the museum. From 2001 to 2011, RAMM is undergoing major redevelopment. The museum’s main building on Queen Street, Exeter, Devon, EX4 3RX, will reopen in December 2011. For more information on the museum’s collections, history and redevelopment, go to http://www.rammuseum.org.uk/. Royal Albert Memorial Museum Website. 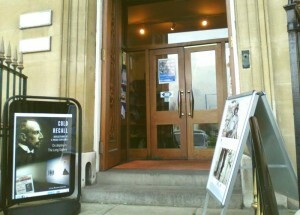 http://www.rammuseum.org.uk/. (May 2011). Open daily from 10:00am to 6:00pm (except on Thursday when it is open until 9:00pm – Second Thursday Art Night is from 6 to 9p – and when it closed at 5:00pm because of a private function). Closed New Year’s Day, Easter, Fourth of July, Thanksgiving, and Christmas Day. Individual studios are required to be open a minimum number of hours per week but actual schedules vary, while the larger group galleries and workshops have regular schedules (available here). Metro accessible via the Blue or Yellow Lines to King Street, where the free trolley service will deliver you to the waterfront. After the War, production stopped and the building reverted to a storage facility. It was used by the Smithsonian to store art objects and dinosaur bones, by Congress to store documents, and by the Military to store German films and records acquired during the War. 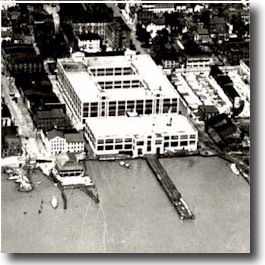 In 1969, the building was purchased by the City of Alexandria and in 1974, the Torpedo Factory Art Center opened to the public. After years of questionable working conditions, it was renovated in 1983 with some of the more artful touches that you can see today, such as the spiral stairs. Today, the Torpedo Factory producing a wide-range of beautiful and interesting artwork but nothing that explodes! 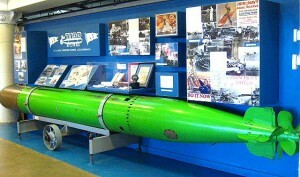 Luckily for the interested visitor, some of the building’s history has been preserved in a number of exhibits, including this bright green target torpedo. It was built at the factory in 1945 and is accompanied by its logbook of tests. Besides this large display, there are smaller displays and wall panels that give further information about the building and its various uses. Finally, it is also the home of the Alexandria Archaeology Museum, which works with citizens and professionals to manage the historic remnants of Alexandria. The small museum has a number of displays about Old Town and is a useful resource center for historians interested in area attractions.